Online shoppers were 46% more likely to hit a “Purchase” page when the daily temperature averaged 77 degrees Fahrenheit than when it averaged 68F. Customers in a warm room were willing to pay more that those in a cool room for 9 of 11 consumer items shown to them. Customers were willing to pay 36% more for items when holding warm, versus cool, therapeutic pads. Researchers say that physical warmth actually activates the concept of emotional warmth, drawing out positive feelings and increasing the perceived value of products. 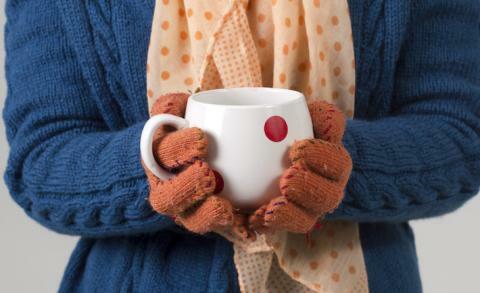 So, being physically warm triggers the emotional warmth that makes customers want to buy more and pay more. But, we can’t always control the temperature. Use your small business CRM to shine emotional warmth on prospects, increasing the likelihood that they’ll buy. If your CRM is more of a catchall for contacts than a sales and marketing machine, you’re missing a great opportunity to warm up to your prospects and customers, compelling them to make a purchase, spend more, and buy more often. An American Express survey found that 78% of consumers have bailed on a transaction or not made an intended purchase because of a poor service experience. Customer relationship management is more than keeping contacts organized. It’s making your contacts feel valued, known, and well cared for. Instead of following up with warm leads, cold calling is the norm. Instead of being handled with care, customers with issues end up feeling frustrated. Instead of a smooth follow-up process, opportunities to close more deals are missed. An efficient sales and marketing process paired with a simple CRM melts these challenges away. First, a CRM can automatically track contact activity. Now you’ll know which web pages a contact has visited, which emails they have opened, when the last point of contact was, or if they’re in your deals pipeline. The more engaged contacts are with your business, the warmer – and more likely to buy – they are. In addition, a rock-solid sales and marketing process can tackle hard-to-trace touch points. Did a customer call in and chat with support? Did sales offer a discount during the sales process? With great notes on contact records, customers feel connected to your brand. They feel known when they reach out to you instead of feeling left out in the cold. This translates into happy customers who feel good about making a purchase. Better relationship management through small business CRM turns up the temperature for your customers and prospects. When your sales and marketing process is seamless and easily scaled, your contacts feel the warmth, translating into cold hard cash.